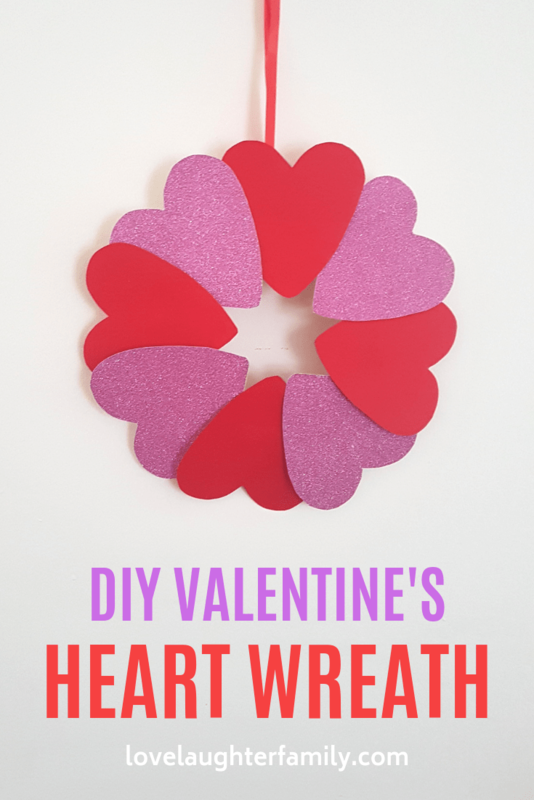 Today me and my 2 year old toddler made this cute Valentine's Day Wreath Craft to decorate our house. He had so much fun making it with me most likely because it was so easy to do. 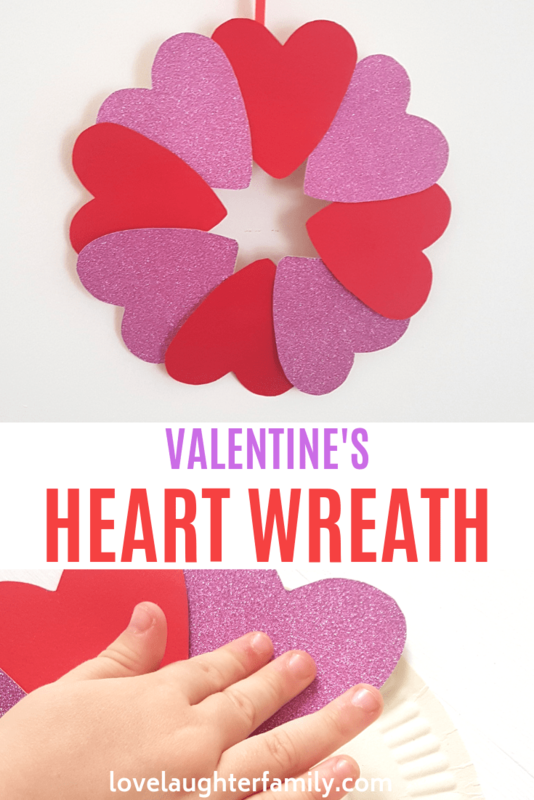 Whether you make this Valentine's day Craft as a gift or for your home it's a cute little wreath that will look pretty wherever it ends up. 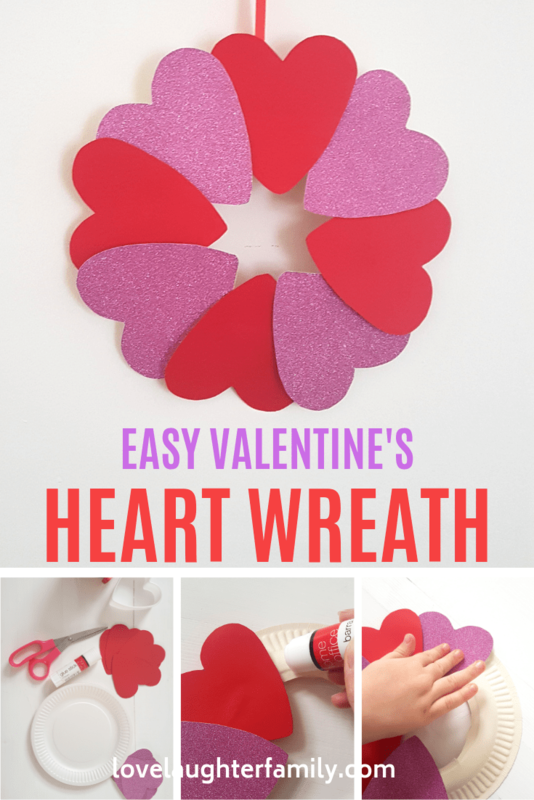 Firstly using a heart cookie cutter and some red and pink glitter card, draw around the heart cutter with a pencil. Then cut out your hearts. 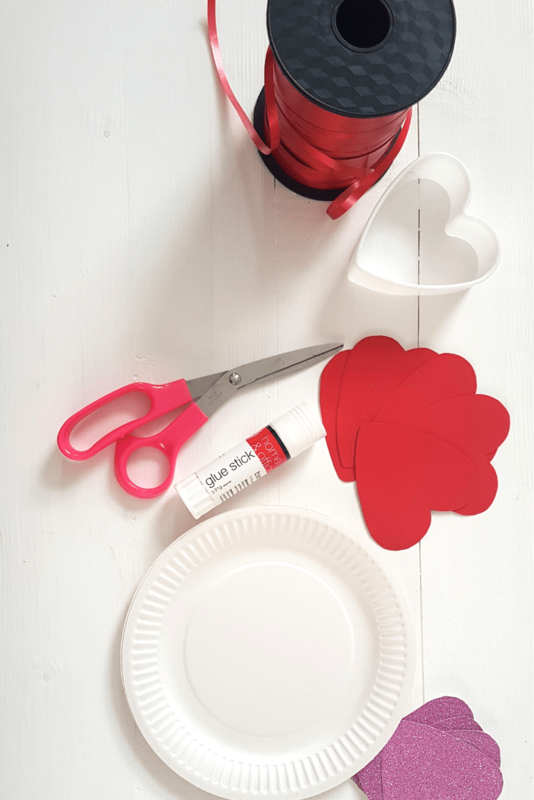 Cut a small hole in the top of the paper plate by pushing a pen through or a hole punch, this will be where you will thread some ribbon or string through to hang up the heart Wreath when you are finished. 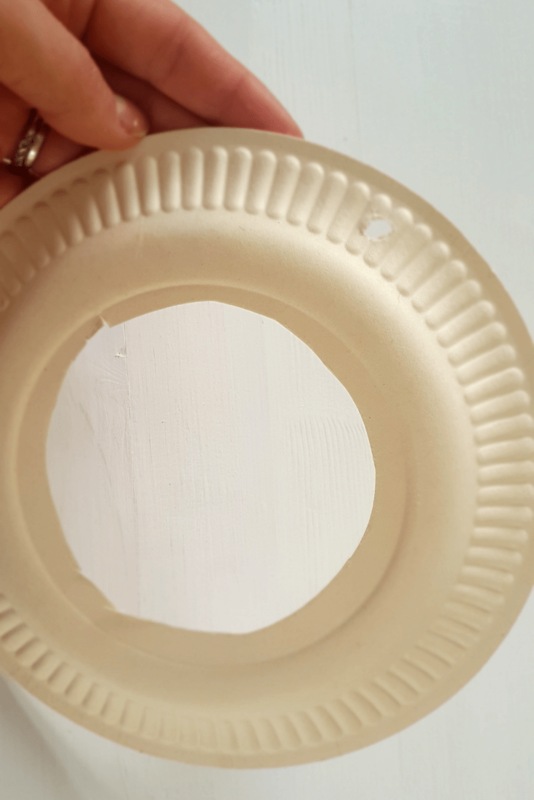 You'll also need to cut the middle out of the plate as shown. 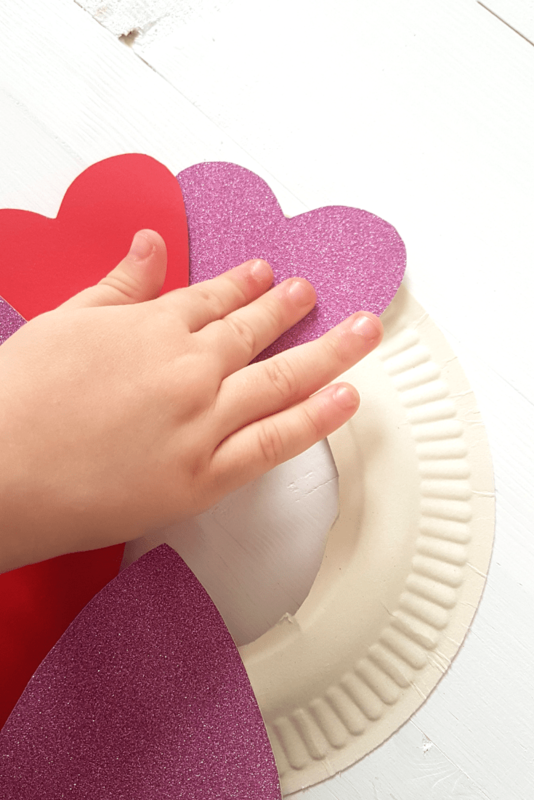 Take your pink and red hearts and stick them around the plate using a glue stick, overlapping the hearts slightly. Finishing it off by putting some red string through the top hole that you made in the beginning. 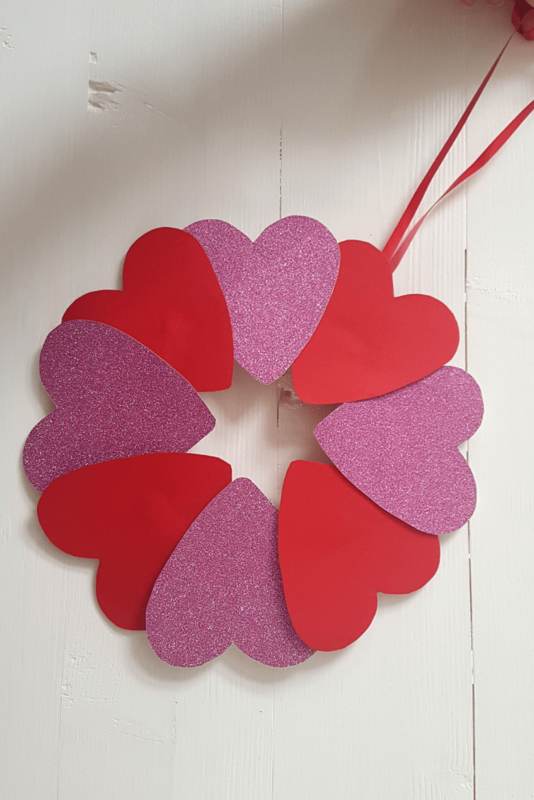 Note: Before sticking the hearts down, try just placing them into position so you know roughly where you need to place them, making sure that the hearts are spread out evenly and so that you won't have any unwanted gaps. 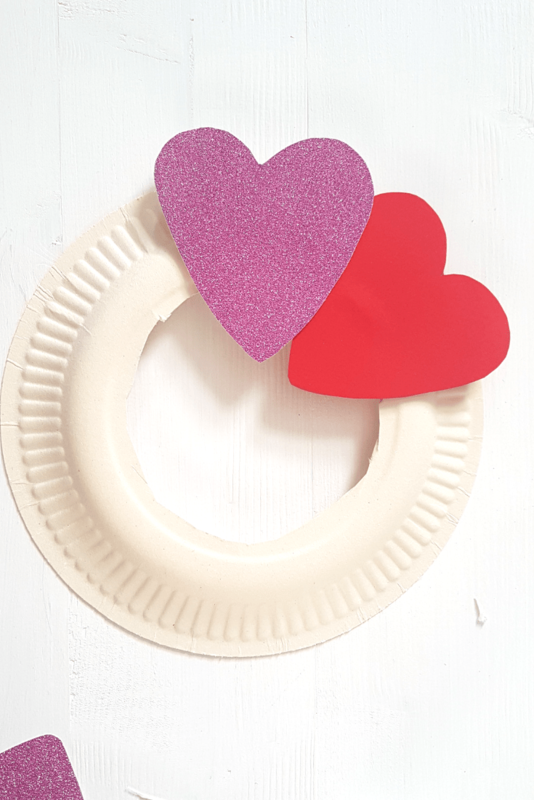 For this wreath I used a small paper plate but you could always use a big paper plate.